Tom A. Chandler, 79, found eternal rest on Sunday, January 20, 2019. Born in Baxley, Georgia, Tom was a graduate of Clinch County (GA) High School, Berry College and Emory University. He retired as Assistant Professor of English from DeKalb (now Perimeter) College in Clarkston, GA and later taught at Russell Sage College (Troy, NY) and Brevard Community College (EFSC). He also retired from H&R Block where he was a tax preparer for many years. Tom is survived by his loving family, beloved pets and many friends. Throughout his long life and career, he touched many lives and will be deeply missed. 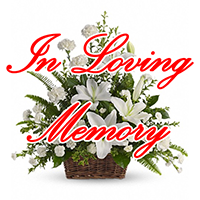 Memorial visitation is scheduled for Friday, January 25 from 4-6 pm at Brownlie-Maxwell Funeral Home in Melbourne, with internment at Pine Grove Cemetery, Tribes Hill, NY. Special thanks to the wonderful staff of William Childs Hospice House for their kindness and care. Donations to the American Lung Association are gratefully suggested. I will miss our chats. Rest in peace, dear friend. Uncle Tommie was well loved and will be hard missed. My heart memory of him will be, in his early 20's all suited up, talking impressive college talk and calling me Miss Priss. My Uncle Tommie was well loved and will be hard missed. I have so many fond memories of him, from my childhood on. I will always remember him from his early 20's, in a dark suit and tie, being all suave and sophisticated, such an impressive college man. That's the way my heart will see him. He was my Mother Virginias little brother,and she loved her some Tommie.